Quote of the Day: Each day is a gift. Open it! Celebrate it! Enjoy it! Patients who receive a kidney transplant typically live longer than those who stay on dialysis. A living donor kidney functions, on average, 12 to 20 years, and a deceased donor kidney from 8 to 12 years. Patients who get a kidney transplant before dialysis live an average of 10 to 15 years longer than if they stayed on dialysis. Some patients may need to spend time on dialysis as they wait for a good match from a deceased donor kidney or search for a living donor kidney. Spending a long time on dialysis does not ruin your chances of having a kidney transplant. But research shows that getting a transplant sooner rather than later is generally the best approach because of the health problems dialysis can cause over time. Moreover, spending a long time on dialysis before transplantation may also compromise the life of the new kidney graft once transplant occurs. Individuals who wait for a transplant on dialysis for two years are three times more likely to lose their transplanted kidney than those patients who wait less than six months on dialysis. Even the benefits of a live donor kidney transplant may fade away if you wait more than two years on dialysis. So given the choice, patients who find a donor match and opt for transplantation tend to do better than those who elect to live on dialysis. A typical kidney transplant surgery takes from two to four hours. A healthy kidney is surgically placed in the pelvis of a patient with end-stage renal disease. The renal artery and vein of the donor kidney will be sewn to the recipient’s blood vessels that supply blood to the lower abdomen and legs. Urinary flow is then re-established by connecting the tube that drains urine from the kidney to the bladder. Those who have unusual anatomy such as, multiple surgeries, may require placement of the kidney in other locations in the abdomen and use of different blood vessels. These situations also require significantly more time in the operating room. Once blood flow is established in the new transplant, the kidney will begin filtering, removing waste and producing urine. The native kidneys are usually not removed and will no longer function. Most kidneys will begin to function within 24-48 hrs. However, up to 30 percent of kidneys, particularly those from deceased donors may take several days to weeks before working normally. Even though kidney transplant is major surgery with a phased recovery period, it can, in comparison to dialysis, offer you the opportunity for a longer, more satisfying life. Most patients who have been on dialysis and then had a transplant report having more energy, a less restricted diet, and fewer complications with a transplant than those who had stayed on dialysis. Transplant recipients are also more likely to return to work after their transplant than dialysis patients. "The Benefits of Transplant versus Dialysis." The Benefits of Transplant versus Dialysis. 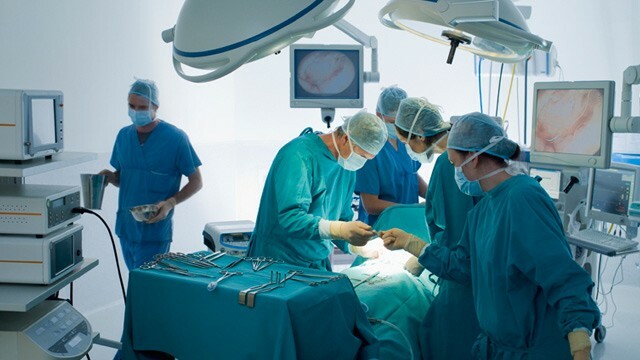 "Kidney Transplant: What to Expect During the Procedure." Piedmont Healthcare. Should you Accept the Kidney Now or Wait for a Better One?